It didn’t take long, did it? 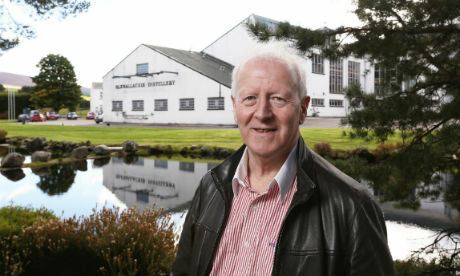 Almost immediately after Billy Walker sold Benriach, Glendronach and Glenglassaugh to Brown-Forman, bets were being placed on how soon he would return to the Scotch whisky fold. The answer: very soon. 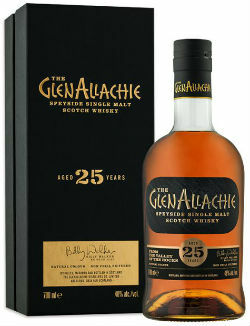 It’s now almost exactly a year since Walker reached an agreement with Chivas Bros to take the helm of Glenallachie. Whisky from this little known distillery in Speyside was used almost exclusively for blending, save for the odd indie bottling here and there. Not now. After a batch of single cask releases earlier in the year, Walker has now launched a core range, comprising a cask strength 10yo, a 12yo, an 18yo and a 25yo. 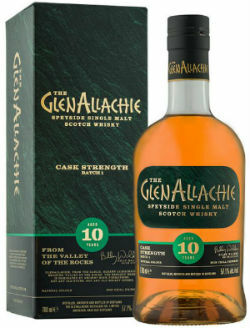 The 10 year old will be released in numbered batches, with the first batch consisting of whisky matured in American oak, Pedro Ximinez, Oloroso and virgin oak casks and bottled at a cask strength of 57.1%. The 12yo has been matured in a combination of PX, Oloroso and virgin oak casks, the 18yo has been matured in American oak, PX, oloroso, and Virgin oak casks, while the 25yo has been matured in Pedro Ximinez, Oloroso and American oak casks. Glad we got that straight. I had the privilege of trying these whiskies in last night’s #GlenallachieWhisky Tweet Tasting hosted by Steve Rush at The Whisky Wire. Below are my tasting notes, but just search the above hashtag on Twitter to find out everyone else’s thoughts. Nose: Baked apples with cinnamon, manuka honey, orange peel, dusty oak and quite perfumed and floral – lavender, honeysuckle, chamomile, and some dusty potpourri. Palate: Cinnamon spice, cinder toffee, overdone crème brûlée and some malty/cereally notes to begin. Then some fruit in the shape of dried cranberries and some blackcurrant, before dry kindling, cocoa give a tannic balance. Finish: Drying oak, cedarwood and some dark chocolate. Nose: Very soft in comparison (probably due to the lower ABV) – toffee pennies, caramel barrels, runny honey, orange blossom, ripe bananas and some hazelnut praline. Palate: Gentle again – juicy sultanas, some golden syrup, stroopwafel, caramelised bananas and apples, charred pineapple and little cinnamon. Finish: Drying oak, baking spices and sandalwood. Nose: Remarkably fresh, with gorse, gooseberries, keylime pie, pink grapefruit, lemon drizzle cake, vanilla slices, buttered pastries and that potpourri again followed by some heather and bracken. Palate: Quite silky, with a touch of Turkish Delight, glacé cherries, Bakewell Tart and apple strudel. Then the spices; nutmeg, cinnamon and mace, along with a citrusy touch of lemon oils and chocolate limes. 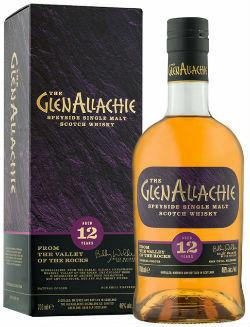 Finish: Gentle, aromatic oak, some ginger and a floral sweetness. Nose: Dried apricots, poached fruits, orange oils, cooked pineapple, toasted coconut, buttered gingerbread and some malt loaf. Underneath there’s austere, but gentle, oak, old books, a leather tobacco pouch and singed heather. Palate: Sandalwood straight from the off, with a pink peppercorn spice, toasted vanilla pods, sultana cake, muesli and some juicy berries. There’s a darker element too, with tea leaves, chocolate coated Brazil nuts, Danish pastries, and glazed walnuts. Finish: Moroccan market spices, with a lingering, gentle oakiness. Overall: Four very enjoyable whiskies, with good balance between the different cask types giving rise to four well-rounded drams. 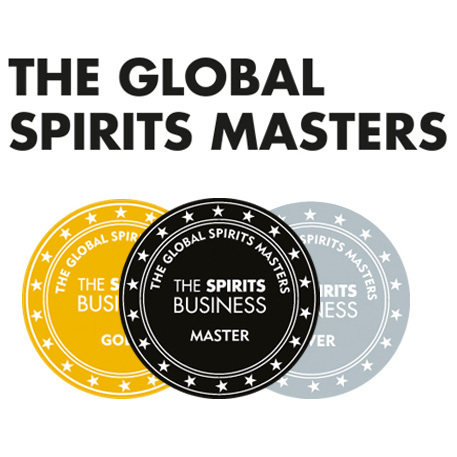 I like the ballsy, cask strength nature of the 10yo, the everyday sipping style of the 12yo and the unctuous, layered complexities of both the 18yo and the 25yo. 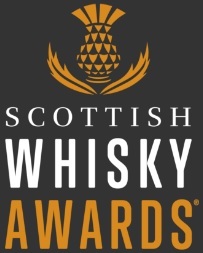 The whiskies may all feel rather ‘gentle’ but then I suppose if you preferred something more focussed you’d turn to their single cask releases for more out-of-the-ordinary fun. The price points are also in line with what you’d expect nowadays, so no complaints there, it’s just the ‘The GlenAllachie’ font reminds me of a Jurassic Park poster for some reason. Not really a fan of that. Nevertheless, it’s a very good core range, and one which further single cask releases will no doubt be built around and expanded upon. This entry was posted	on Thursday, July 19th, 2018 at 9:10 am	and is filed under Reviews. You can follow any responses to this entry through the RSS 2.0 feed. You can leave a response, or trackback from your own site. We also had those soft, sweet and creamy aromas with peach and apricots but yet oak flavours in our sample. Thanks for your comment – I agree with you on the quality of the 12yo, and for me, the same can be said of the rest of the range.